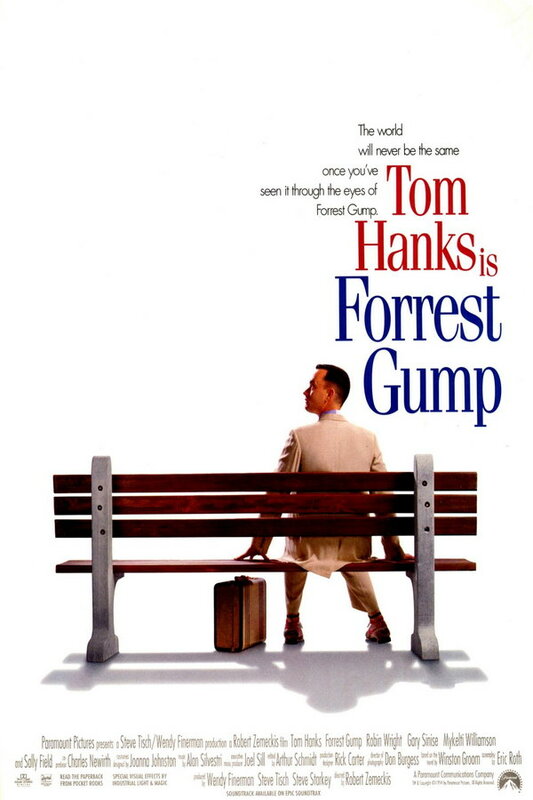 Forrest Gump font here refers to the font used in the poster of Forrest Gump, which is a 1994 American epic romantic comedy-drama movie based on the 1986 novel of the same name by Winston Groom. The font used for the movie title in the post is very similar to Fenice Regular designed by Aldo Novarese. Fenice is a commercial typeface and you can view more details and purchase it here. In addition to Forrest Gump, Fenice typeface is also used in the following logos, movie posters or album covers etc., including: The Spectator, Happy Gilmore, Seinfeld, Ralph Lauren, Wall Street.